I’ve heard that some readers were troubled by last Friday’s blog post on the oral microbiota associated with intimate kissing, Valentine Kisses. As such, I’ll be especially sweet with today’s addendum. Hershey’s Chocolate Bar was first produced in 1900. 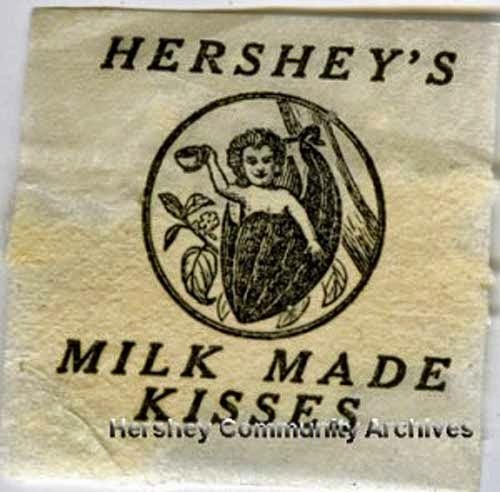 Seven years later, Hershey introduced its sort of cone-shaped, sort of flattened teardrop-shaped KISSES, which were then individually hand-wrapped and only milk chocolate. 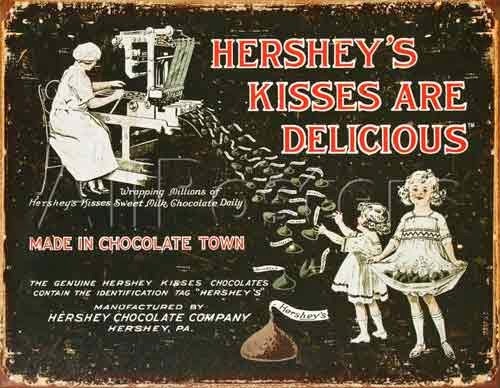 Machine wrapping, which today handles 1,300 KISSES per minute, got started in 1921, about the same time the company added the thin, paper, ribbon-like plume that sticks out of the top of the wrapped chocolate to announce KISSES, HERSHEY or other messages. That plume was trademarked in 1924. 2. 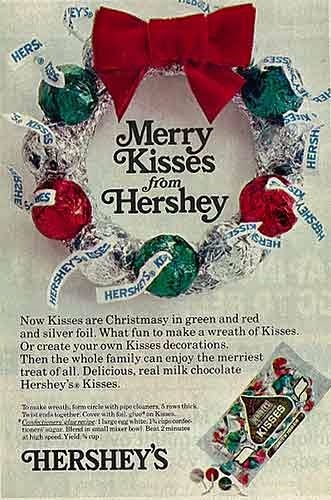 The silver-colored wrapper was joined by Christmas red- and green-colored wrappers in 1962 and later followed by other colors. The foil wrapper itself was trademarked in 1976. 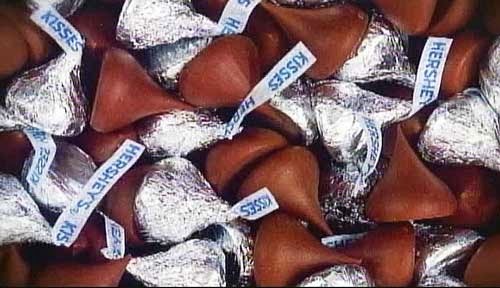 In KISSES’s early years, the company tried marketing flavors besides milk chocolate; however, all were dropped by 1931. 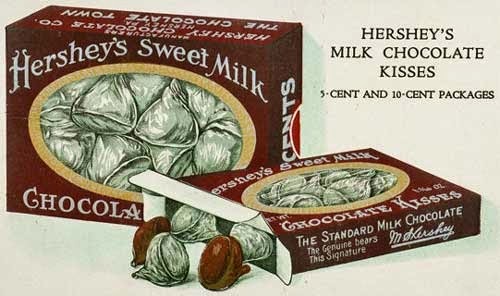 It wasn’t until 1990 that Hershey was successful with Chocolate and Almonds and later several other variations. The most recent addition is Cookies 'n' Crème, which began life as one of the many Limited Editions that Hershey has offered annually since 2002. 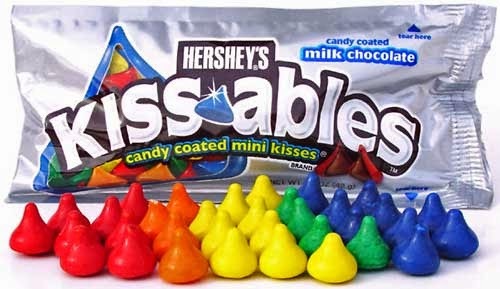 Hershey’s only notable failure with new KISS products was KISSABLES, a smaller, candy-coated KISS--think M&M candy--introduced in 2005 and discontinued four years later. 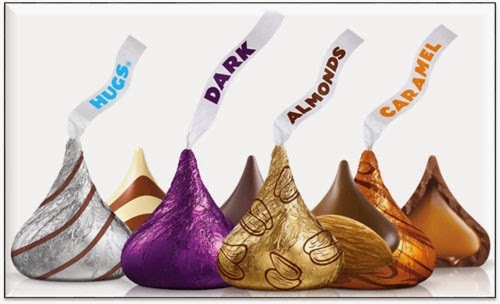 A final note of interest concerns the origin of the name KISS, which Hershey leaves up in the air. According to the Candy Professor (see P.S. ), in the 1907 time frame, “kisses” was a common name for bite-sized candies made by anyone as well as by several producers around the US. Hershey wasn’t able to trademark the name until…ready?…2001.